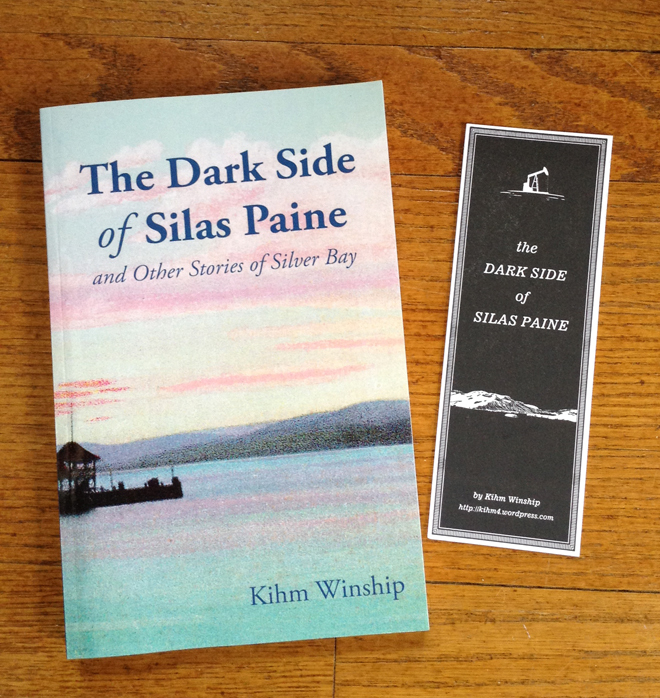 The Dark Side of Silas Paine and Other Stories of Silver Bay is now available via Amazon.com. There’s also a copy in the Silver Bay Library (Thank you, Carol Kanis!) but if you can’t get there, Amazon is just a click away. The early reviews have been gratifying, and I thank all my readers, especially those in Sweden, England and Japan, who give the book an international following. An unexpected plug. Thank you, Rev. Dr. Joanne Bond! 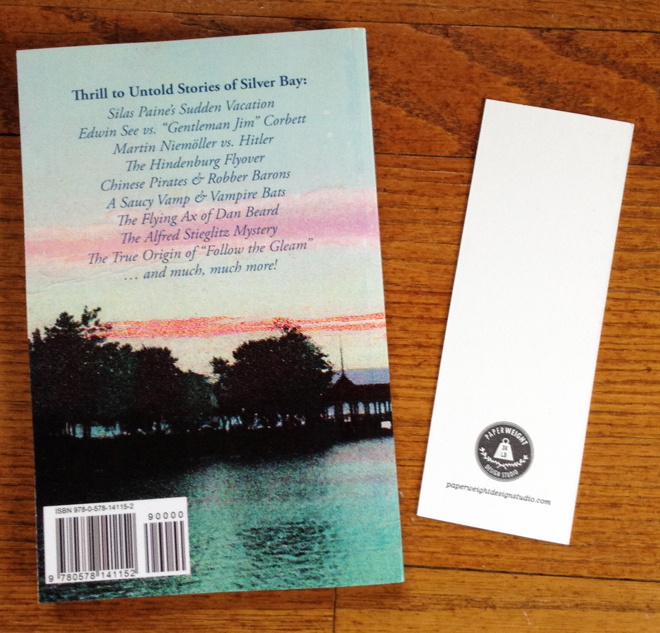 The Dark Side of Silas Paine, 200 pages of Silver Bay stories & images, sold like hot cakes at the Lutheran Summer Conference, especially after the plug by Chip Devenger, and a small supply has been accepted on consignment at the Gift Shop in the Inn. If you’re not at Silver Bay, you can mail a check for $14.50, which sum includes mailer & postage, to Kihm Winship, 8 E. Austin St., Skaneateles, NY 13152, and your copy go out in the mail. You can also pay via Paypal, to akihmbo@gmail.com; be sure to include your mailing address. Every copy comes with a complementary/complimentary bookmark from Jamie Jordan at the Paperweight Design Studio of Jacksonville, Florida, a crackerjack index by Laurie Winship, and a softcover designed by Kristina Henson. 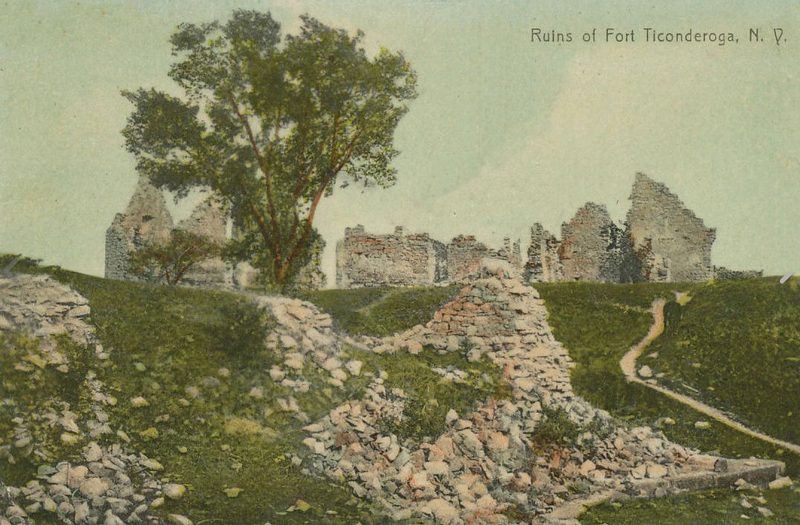 Many visitors to Silver Bay have taken the time to go up to Ticonderoga to see the historic fort, but for those who went before its restoration began in 1909, this was what awaited them. Thanks must go to Stephen H.P. Pell, and the full story is here. In 1931, the Church School Committee of the United Lutheran Synod of New York met to plan a summer conference. The Rev. Dr. Paul C. White, newly named Secretary for Religious Education, joined three other pastors in the search for a location. The Rev. A. Walter Baker of Troy, N.Y., suggested their first visit should be to the YMCA Conference Center on Lake George, north of Albany. The Rev. Dr. Chalmers E. Frontz, who possessed a 1931 four-door sedan, offered to drive from Albany. Rounding out the party of four was the Rev. Dorr E. Fritts. The Tongue Mountain Parkway portion of Route 9, which climbs to an altitude of 1,109 feet over Tongue Mountain, had been completed only a few months before, and so the journey was something of an adventure. However, the carload of clergy arrived safely at Silver Bay, met with its executive director, Charles R. Towson, saw the facilities and said, “This is it.” No other visits were necessary. 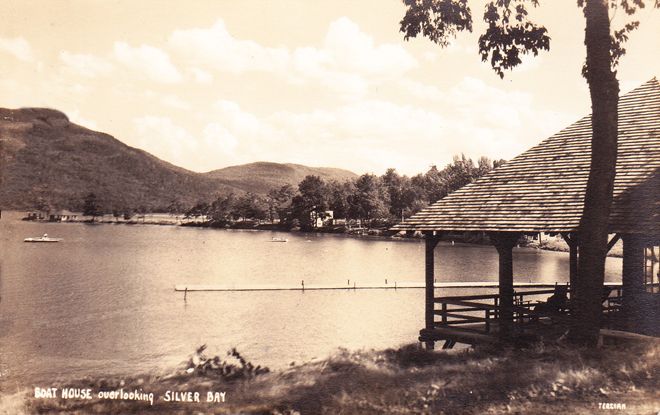 On July 23, 1932, the first Lutheran conference for church school teachers and leaders began at Silver Bay, with Paul White as Dean and the Rev. Chalmers Frontz as Director. The first conference was focused on teaching; 200 Lutheran educators attended. In 1934, artist Norman Truesdale drew the first illustration of a punkee for The Punkee. He went on to be a Professor of Art at the State University College at Buffalo. He was the author of An Esthetic Philosophy in Secondary Education (1947) and the illustrator of many books, including Outpost of Empires: A Short History of Niagara County (1961), The Eastern Woodland Indians (1961) and Canal Water and Whiskey: Tall Tales from the Erie Canal Country (1965). Near the end of World War II, in 1945, the Conference was cancelled after the U.S. Office of Defense Transportation informed its organizers that “the movement of large groups was not to take place,” but the Conference resumed in 1946 and has been held every year since, and today is open to all who wish to attend, be they pastors, teachers, laypersons or people, like myself, who do nothing but nap, read, eat and swim, and love every minute of it. Couldn’t have done it without Lutherans at Silver Bay (1980) by Paul C. White, for which I thank Sharon Baker, Public Services Assistant, Krauth Memorial Library at the Lutheran Theological Seminary, Philadelphia, and the Rev. James Bresnahan. 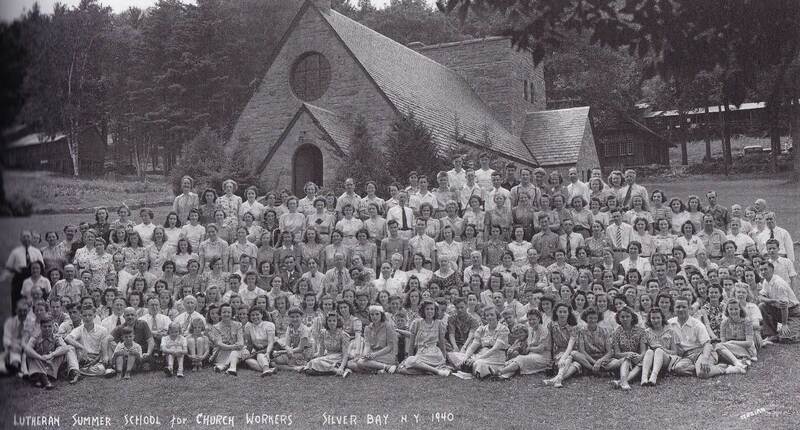 Group photo of 1940 Lutheran Summer Conference by William Terzian.